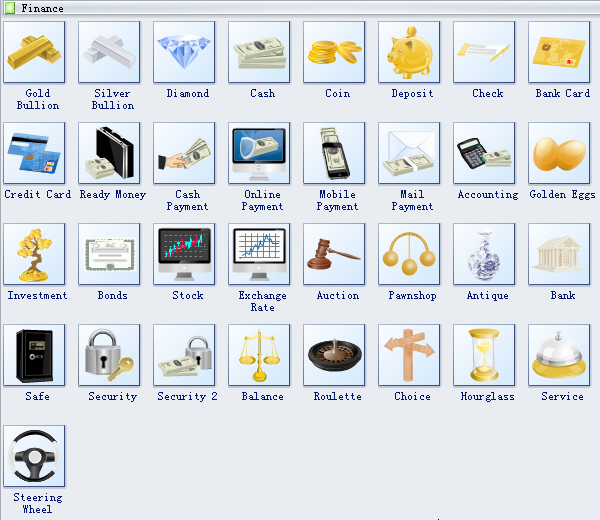 The following finance clip art templates contain some finance vector shapes such as gold bullion, silver bullion, diamond, cash, coin, check, ready money, cash payment, online payment, mobile payment,etc. A picture is worth a thousand words. You can use our clipart to visualize ideas and make your diagrams lifelike. See the symbolic meaning of some common finance clip art below.